I am trying to convince Mr. Grumpbump to let me have a garage sale so I can sell everything in our living room. And use the proceeds as a down payment to the purchase of real furniture. You know, where everything matches? My living room is schizophrenic and a study in the various shades of brown. Yuck. But, when I look at the cost of furniture - oh my gosh, it just makes me sick. Look, I am not really concerned with appearances or keeping up with the joneses. I just want something cute and comfortable. I predict that I will wasting a lot of time on craiglist. 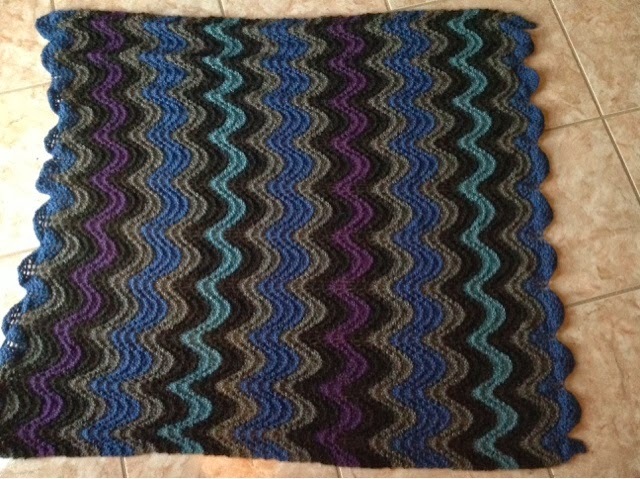 I finished my ripple afghan tonight! I had this stinking project on the needles since January. 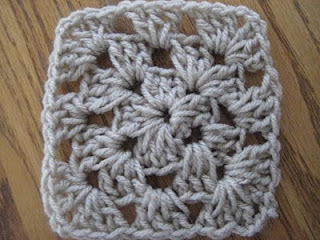 It took me forever to bind off the stitches (two nights). I used Sewn Bind-Off technique because it gives the edge a bit more stretch and looks very clean. I am so happy I have a completed project. Tomorrow will be one week since Tigger's passing and I miss him every single day. I wake up expecting to see him begging for breakfast and look for him when I walk in the door after coming home from work. The guilt I feel is still very strong - why was I not able to save him? I'm second guessing all those decisions from a week ago, and I have difficulty with accepting this part of the circle of life (cue the Lion King music).